Fans of marine wildlife artist and conservationist Guy Harvey can now catch his work on instant tickets from the South Carolina Education Lottery. The artist’s colorful brush strokes bring to life South Carolina’s native red drum fish, sailfish, dolphin fish and loggerhead sea turtle, the state’s official reptile, in the series of four collector tickets. 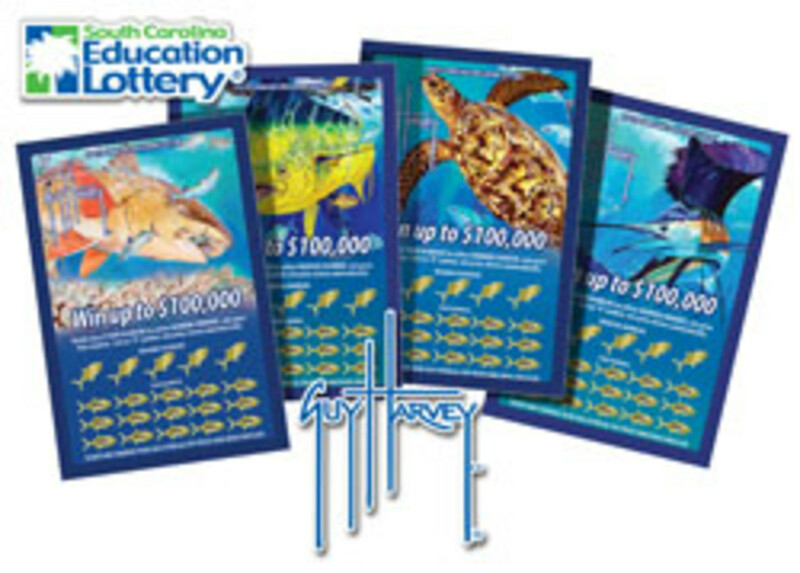 Players will get their first look at the Guy Harvey game when tickets go on sale today at lottery retailers statewide. The Guy Harvey lottery ticket, with a top prize of $100,000, offers a second-chance opportunity to win a fishing trip with Guy Harvey in Grand Cayman Island and a vacation to The Sanctuary at Kiawah Island Golf Resort. Tickets are $5. The Florida Lottery recently launched its newest Guy Harvey Scratch-Off Game after a large player response to an inaugural Guy Harvey-designed game last year that proved to be the most successful $2 scratch-off game in the 25-year history of the Florida Lottery.